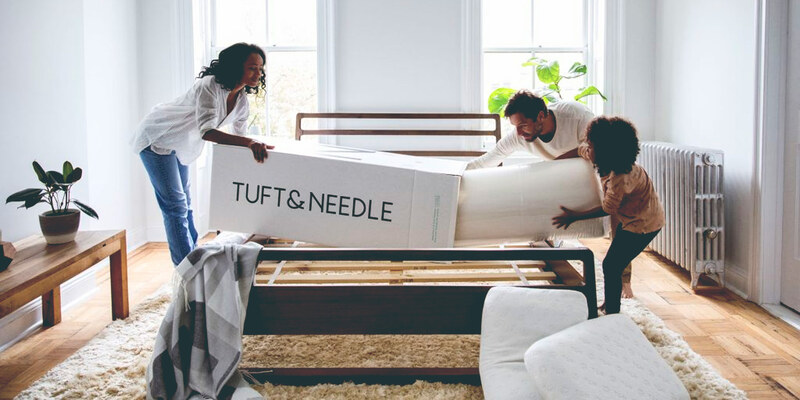 Tuft & Needle set out to disrupt the entire mattress industry by cutting out the middle man and offering direct-to-consumer sales. These mattresses are able to be uniquely-packaged into a small and convenient box that can ship directly to your house! The Tuft and Needle Mattress company is a remarkably innovative and honest business that endeavor to provide the best mattress for the price. Founders Daehee Park and JT Marino work hard to do this by eliminating middle men and selling direct to consumers. As with many impressive companies in the world, Tuft and Needle got their start when the founders realized there was a problem. Mattresses are expensive but just because you pay a lot doesn’t always mean you get the comfort you’d expect. Park and Marino realized they could apply their industry knowledge and undercut many of the big names on the market simply by eliminating unnecessary markups. If you’re looking for a high quality mattress and you want every dollar you spend to buy quality, you should take a hard look at Tuft and Needle for your next investment. Tuft and Needle mattresses are different from what many people think of when they shop for mattresses. They aren’t loaded down with springs, and this mattress brand doesn’t believe in cramming in an unnecessary amount of layers to help market their product. While 6 layers of performance memory foam and new age technology may sound flashy in ad campaigns—they really just end up causing you to sweat a lot while you sleep. Yes, extra layers are prone to restricting airflow in mattresses. This means that while you are sleeping your body heat can get trapped in the mattress with nowhere to go! Most of Tuft & Needle’s mattresses are made of 2 layers of polyurethane foam. A 3″ top layer features a less dense design that is softer and contours more to your body. Below this layer there is a 7 inch polyurethane foam which provides a flexible but sturdy base for you to rest on. Tuft and Needle were one of the first mattress companies to provide innovative service to customers that allowed easy online ordering. Since Tuft & Needle’s mattresses are made entirely of polyurethane foam, they are able to be vacuum-packed into a box measuring only 19″ x 19″ x 24″. This makes Tuft & Needle able to provide the direct-to-consumer sales that keep their prices so competitive. Tuft and Needle have evolved as competition has sprung up in the mattress marketplace. Their products used to be fairly committed to a firm comfort level that many back and stomach sleepers revered. This allows a flat foundation not prone to ‘sinkage’ of the waist area that can cause lower back pains. As competition has mounted, Tuft and Needle mattresses have settled more into the mid-range of comfort to market themselves to a wider range of buyers. This means that side sleepers, back sleepers, stomach sleepers—and everything between—can all find some level of comfort in this mattress. While this may not get heralded as the best foam mattress by those who like overtly soft or hard comfort levels, most people will find it more than capable of providing a restful night sleep! Tuft and Needle believe that a mattress cover shouldn’t be fancy—after all it’s covered in sheets 99% of the time! A Tuft and Needle mattress means represents the power of modern supply chains in the market. They have wasted no materials, have added nothing unneeded, and have even provided an innovative method of shipping. Many more expensive luxury mattresses offer quilted tops or ‘pillow’ tops as an extra layer. This is supposed to provide extra comfort and make the mattresses look more attractive while they sit in showrooms. Tuft and Needle take a more practical view; they believe that a mattress cover shouldn’t be fancy—after all it’s covered in sheets 99% of the time anyway! 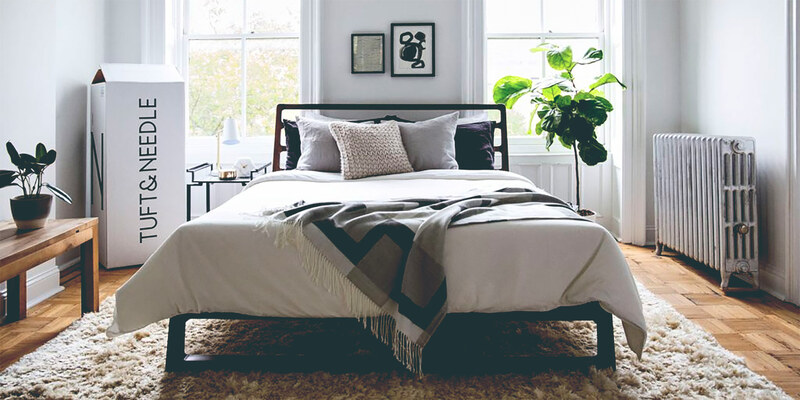 Their no-nonsense cotton mattress covers are all produced from a family-owned textile mill in the Carolinas, and certainly don’t add any unnecessary cost. Tuft and Needle offer a wide range of sizes which are able to help meet a wide array of uses. Their unique polyurethane foams are highly flexible which make them suitable for use on top of box springs, platform beds, adjustable beds, or simply laying flat on the floor! As some mattress brands’ sizes differ slightly, it’s important to pay close attention to the sizes of mattresses before purchase. Below, you’ll find a chart which compares the different mattress sizes available from Tuft and Needle. These mattresses all ship in conveniently-sized boxes, but do pay attention to how much they weigh. Some of the larger sizes, such as the Tuft & Needle King Size Mattress can weigh as much as 100 pounds and may need a helping hand to manage once it arrives safely on your doorstep. As you can see, these are pretty standard mattress sizes offered by Tuft and Needle. The Twin XL and California King are less popular sizes but still in demand by many buyers. Note that the thickness of the mattresses are all the same—that’s because of Tuft & Needle’s no-nonsense two-layer polyurethane design. This design is suitable for all sizes and offers the same great performance, breathing, and flexibility regardless of which mattress size you choose. These mattress sizes don’t include any thickness accounting for box springs or other foundations that you may use. If you are planning to put your mattress on a foundation of any sort, make sure you know the final size before you begin shopping for any types of bedding. This will help you make sure that you get sheets that fit your new mattress well, and aren’t too small or large. Tuft & Needle have excelled at providing high-quality mattresses to buyers through innovative manufacturing and shipping methods. One of the ways they’ve managed to keep their prices so affordable is through selling directly to consumers through websites like Amazon which offer free shipping for Prime members. To put that in perspective; Tuft & Needle provide industry-leading quality and comfort at nearly half the price, and offer direct-to-you sales with free shipping. Tuft and Needle mattresses won’t offer you the best experience of your lifetime, but they’ll be leagues better than what you can find in local mattress stores for comparable prices. 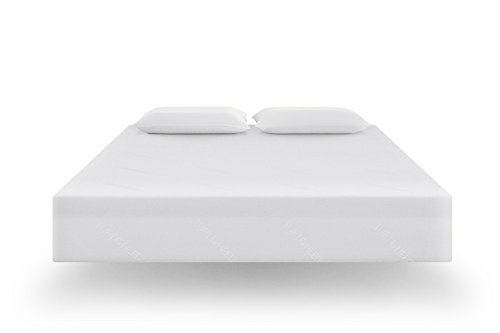 Overall Tuft & Needle offer a great product for the price, and have sold an impressive amount of mattresses. Their mattresses have received thousands of 5 star reviews on sites such as Amazon and are regarded as some of the best-selling mattresses on the market. Tuft and Needle mattresses were the first company to really disrupt the mattress market—cutting out middle men and offering buyers no-nonsense pricing. This company has dedicated themselves to helping buyers find an affordable mattress that will help them enjoy a better night’s sleep without bankrupting them. If you are looking for a mattress that offers a remarkable degree of flexibility, is suitable for nearly any location or foundation, and can be shipped to your house for nearly 60% less than many comparable products—Tuft and Needle may be your new favorite company. Tuft & Needle offer stylishly minimalist mattresses that save big on cost and and cut out the middle man completely. Their direct-to-consumer sales model is supported by their unique packaging approach that vacuum seals their mattresses and ships them in small and manageable boxes.